A Saturday shopping trip to my favorite little Mexican grocery store turned up tortillas that rival many I’ve had in Texas, dried corn husks, great cheeses including cotija and Oaxaca, bulk beans, and avocados. 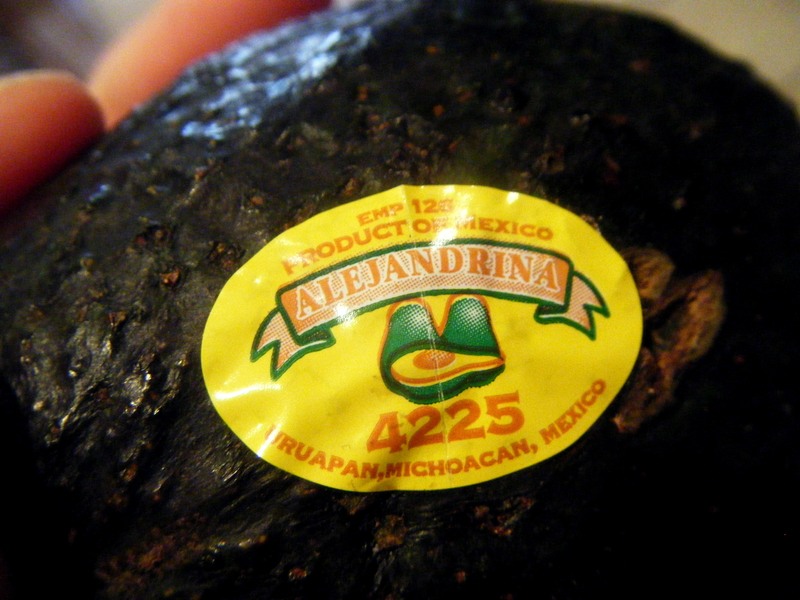 I’ve been kind of obsessed with avocados since reading this fantastic short article in Eating Well (helpfully compiled in Best Food Writing of 2010) about a tiny spot in the Mexican state of Michoacán that is perfectly suited to growing the best avocados in the world, year-round. Note the teeny tag that says it's from Michoacán. 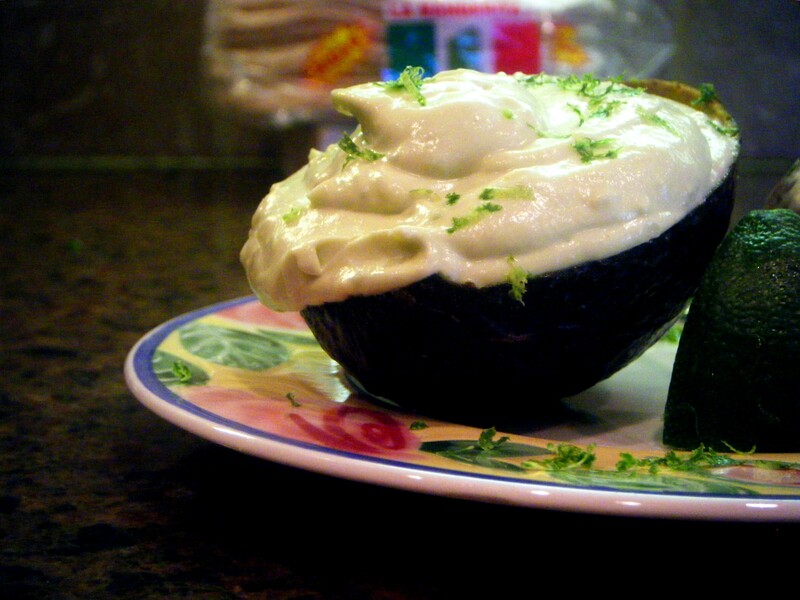 Scoop the avocado flesh into a food processor, add the crema, lime and salt and process until smooth. Careful you don’t process too much- could this Snowville crème fraîche turn into butter? Serve. Perhaps in the scooped out avocado hulls? Playlist included Whirring, by The Joy Formidable. I love the idea of using this instead of mayonnaise. It has my mind whirring. I did it with some leftover chicken (and some slivered almonds and secret strawberries). It was tremendous. Oh man I love me some avocados! I wish we could get them cheaper but I purchase them anyway. Nice twist! They are so good. In so many things. I loved that this was not a spicy guac but a cooling dip. It surprised me when I tasted it, even though I made it. Thanks for stopping in!